Learning about how to play a piano is no longer the privilege for those who can afford to hire a private tutor–nowadays it’s possible to have access to quality piano education thanks to the technological advancement and software developers. Here’s three recommended online platform to learn how to play a piano. With the Hoffman Method, everyone can learn like a child. It’s expected to empower learners to be well-equipped with foundation in music which allows the learners to read, play and understand music. The main three pillars of the Hoffman Method are ear training, sight-reading and rhythm, followed by music theory, technique and improvisation. Solfège, a music education method, is an additional method incorporated with the Hoffman Method. 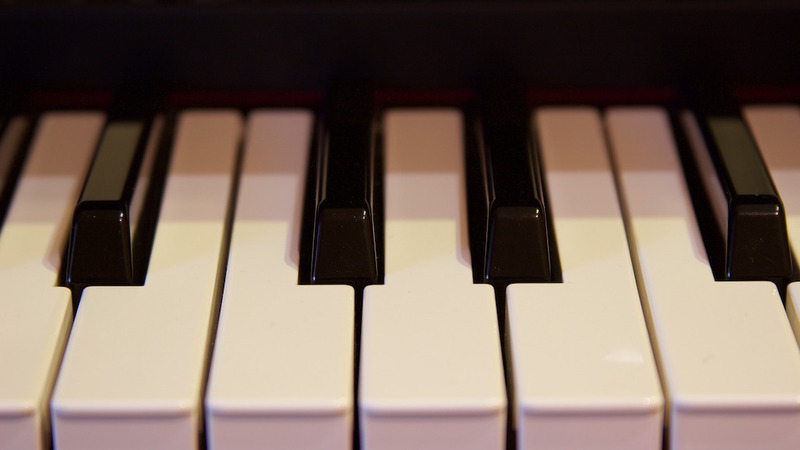 The Hoffman Method works through watching video lessons, following a curated list of practices, printing music theory worksheets and playing interactive learning games. The Hoffman academy offers a series of more than 160 video lessons to learn a new song or music concept. More emphasizes on essential skills to be a musician such as hand shape, staff reading and music theory will be included in the classes for beginners who want to learn to play a piano. The practice sessions are personalized to guide the learners get through all online lessons step by step. Stream play-along audio and printed music worksheets will reinforce one’s learning on how to play a piano. The online academy also provides interactive games for learners strengthen the core categories of musical development. It’s a software designated for iPads or Mac or PC for self-learning piano lessons online. Apart from the core lessons which are divided into Rookie Tour, Intermediate Tour and Advanced Tour, extra items including keyboard skills, notation, rhythm and playing by ear facilitate the learning progress online. The Bootcamp Lessons cater the needs of beginners, intermediate learners and advanced learners respectively. The beginning level helps learners contextualize the theories through popular songs which most of the people already know, while the intermediate courses introduce more complicated rhythms combined with major and minor scales for learners to explore. The advanced level courses are for those who can compose their own melodies to a chord progression as well as for those who can write and play rhythmic patterns with the advanced arrangements. Flowkey is another online platform which is in cooperation with Yamaha, a Japanese multinational conglomerate company. The most attractive features are the provision of instant feedback and support from world-class teachers and pianists who contributed to the teaching methods. Highlighting the compatibility of learners’ understanding of popular songs they love, the platform offers a software to practice notes and chords based on interactions and instant feedback without any cables. The piano arrangements are also tailored to the learners according to their levels–it’s possible to look for songs that learners listen every day. The “star effect” also sounds promising to guarantee the quality of this online platform. Flowkey referred to an award-winning pianist, the most popular Youtube piano teacher and classical pianist from Berlin to diversify the approaches of learning how to play a piano. There are also several unique functions. The “Slow Motion” mode allows learners to practice every song at slow and high speed; the “Loop Function” mode improves one’s focus on a selected section of practice; the “Select a Hand” mode allows learners to practice left and right hands separately. There’s no one-size-fits-all approach to learn how to play a music instrument online. With almost no obligation to use only one online platform to acquire the basic skills for playing a music instrument, perhaps it’s a good idea to cherry-pick the best online platform to achieve your individual outcomes.